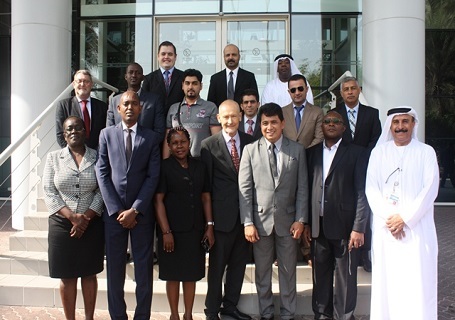 Dubai, UAE, 2 - 6 October 2016: Emirates Group Security in collaboration with Management Training & Consultancy Ltd, UK organized the Aviation Security Management Systems Training (SeMS) in Dubai, UAE from 2nd to 6th October 2016. This five days course provides a formalised, risk-driven framework for integrating security into the daily operations and culture of an organisation. The SeMS helps to identify and address security risks, threats, gaps and weaknesses in a consistent and proactive way. It is designed for Senior Managers, Managers and staff with a security responsibility in the Aviation industry, including airports, airlines, cargo operators, in-flight suppliers, aviation authorities and law-enforcement agencies.